Yellow Box Brewery originated in a small yellow shed in the backyard of my flat in Central Christchurch. It was the late 80’s and in those days there was little choice as to what type of beer you could drink. I started out with very basic equipment and little knowledge of what it took to brew good beer, but with research and much experimentation using the limited ingredients available at the time, I soon found that I was able to produce tastier and more interesting beers than I could buy at the local liquor store. Back then I had the first spark of a dream to brew beer commercially, but after moving out of the flat I found I didn’t have room, or time, to do much brewing and my life moved on to other interests. 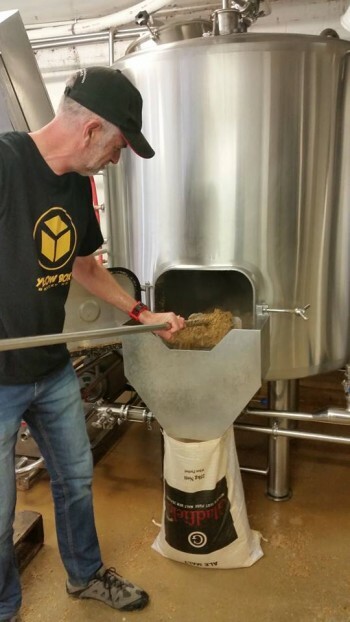 It wasn’t until 2008 that I rediscovered the art of brewing, and with the huge amount of information which had become available – both in print and online – and the burgeoning craft beer market really gaining impetus, my passion was rekindled. The last few years have seen an explosion in craft beer sales and the whole perception of being a beer drinker has changed. When once you only ever drank one brand of beer, these days everybody is hungering for something new, something different, in the beer they drink. There are limitless possibilities to the styles, flavours and aromas so the future for the discerning beer drinker is looking very good!